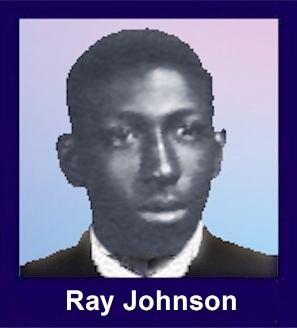 The 35th Infantry Regiment Association salutes our fallen brother, PFC Ray Eldridge Johnson, who died in the service of his country on August 4th, 1966 in Pleiku Province, Vietnam. The cause of death was listed as Mortars (Wounded 08/02/1966). At the time of his death Ray was 19 years of age. He was from Oakland, California. Ray is honored on the Vietnam Veterans Memorial at Panel 9E, Line 105. The decorations earned by PFC Ray Eldridge Johnson include: the Combat Infantryman Badge, the Purple Heart, the National Defense Service Medal, the Vietnam Service Medal, the Vietnam Campaign Medal and the Vietnam Cross of Gallantry with Palm Unit Citation. Remember when my husband, "Pepper" and I would be at the Lux Theater in Oakland and you would be cracking up, real loud and would make everyone in the movie laugh.